The Lindstrom 8150 80 Series Cutter (Oval Head) offers unsurpassed cutting capacity covering a wide range of wire dimensions and types. It is ideal for wire harness work and standard printed circuit board assembly. Made from high performance alloy steel, the Lindstrom 8150 is ideal for high-stress applications and has a screw joint that minimizes friction and maximized alignment of cutting edges. 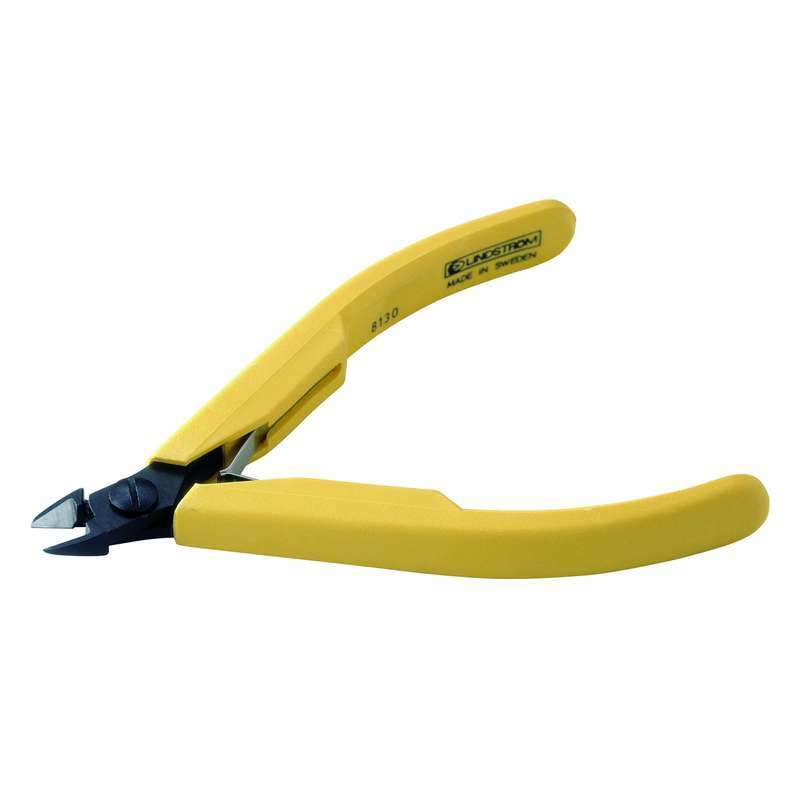 The Lindstrom 8150 has ESD safe handles in synthetic material with return spring. Cutting capacity 0.3mm - 1.6mm of copper wire with a Micro-Bevel® cut.